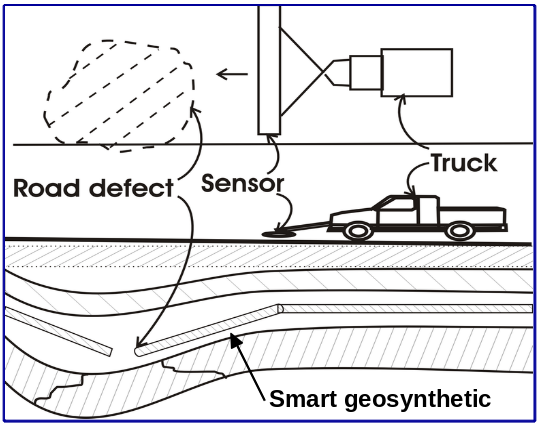 We have developed a new technology consisting of a smart geosynthetic and a sensor assembly. 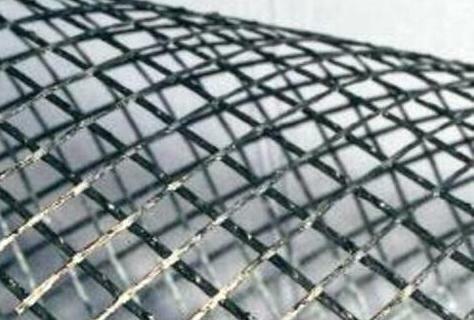 This is a standard geosynthetic (geogrid or geofabric) augmented with RF sensitive electronic elements. It is entirely passive, requiring no power or connections for operations. The geosynthetic is built into the road or embedded under the rails and ballast during construction or reconstruction, below the surface but above the earth sub-base. The electronics are designed so that they become disabled when a cavity develops underneath the geosynthetic. Either geogrid or geofabric can be used as the smart geosynthetic base. The geosynthetic can be designed to improve the structural integrity of the sub-base or simply to provide a substrate for the electronics. The sensor assembly is pushed or pulled along the road or rail track. As it moves, it generates electric fields which activate the geosynthetic. If the electronics at a particular location are intact, the sensor receives a response. If the electronics are disabled, they does not respond. The pattern of responses over space and time permit visualization of damage to the sub-base. Data are saved in local storage as well as sent to remote servers. 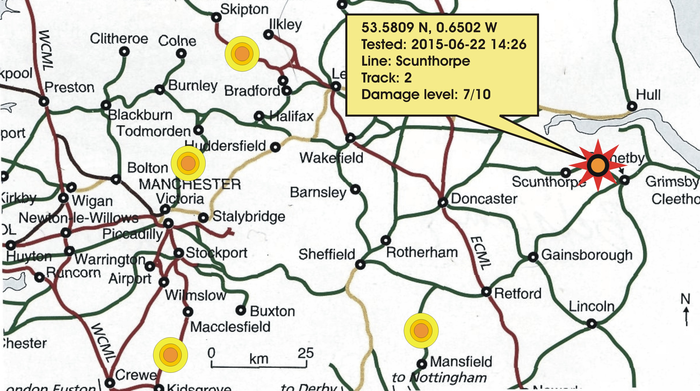 Infrastructure managers can view results and will receive alerts of urgent or developing problems. Longitudinal data from repeated scans can be subjected to analytics, integrated with other monitoring data in a GIS and used to build machine learning models which can predict failures and optimize maintenance.